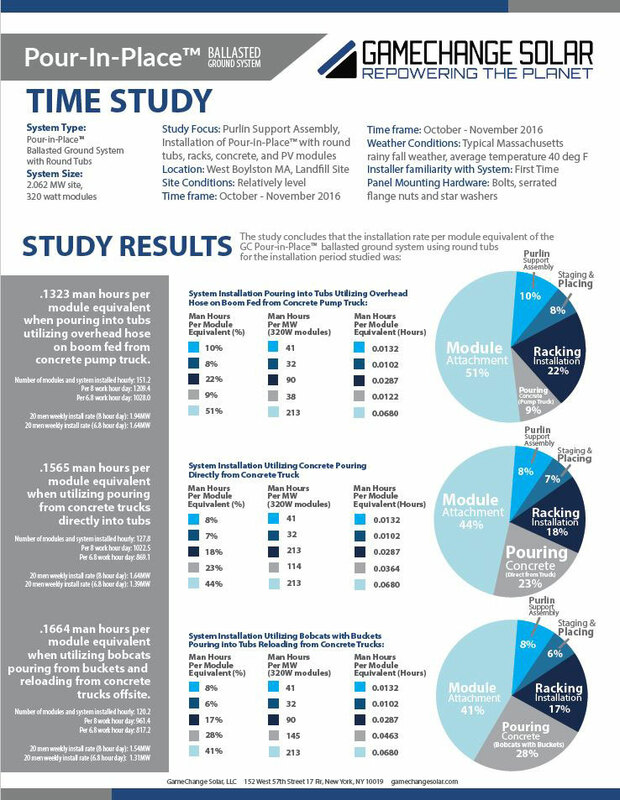 NEW YORK, NEW YORK – April 24, 2017 – GameChange Solar released a detailed time study which identified optimized installation methodologies for utilizing various means and methods for installing the GameChange Solar Pour-In-Place™ Ballasted Ground System. Derick Botha, Vice President of Business Development at GameChange Solar, stated: “Having the lowest racking system cost is important, but project builders also need to know what the installation cost will be. As the leader in ballasted ground systems, we felt it was important to provide this time study as a tool to allow builders to more accurately bid the system into projects.